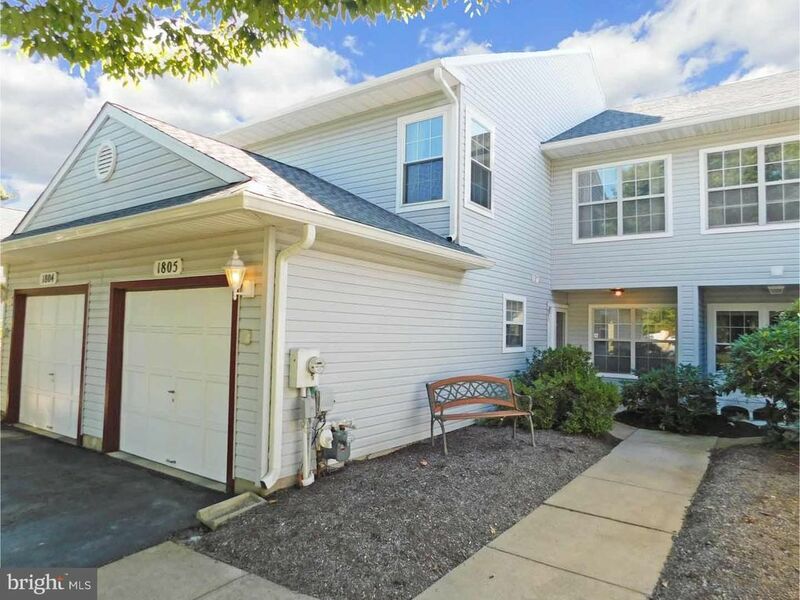 This 2-Story Townhome boasts a premium location backing to woods and move-in condition. The covered entry leads to a wood foyer with access to 1-car garage, laundry room, powder room and living area. The living room offers a wood fireplace, eyeball lighting, neutral carpet, and private rear view. Adjacent is the dining room with sliders to the patio. The remodeled kitchen features generous granite countertops with undermount stainless sink, tiled backsplash, upgraded cabinetry with decorative pulls, ceramic tile floor, and dining area with double windows to see your arriving guests. Appliances include a gas range with stainless range hood, refrigerator, dishwasher, and disposal. Upstairs are 3 bedrooms - the master bedroom has a vaulted ceiling, single and walk-in closets, and a private bath with double vanity, soaking tub, shower, and tile floor. All bedrooms have lighted ceiling fans. A hall bath and linen closet complete the upstairs. The Brookstone community is convenient to Rt. 1 and I-95, shopping, restaurants, medical facilities and offers a clubhouse with pool, tennis and basketball courts.